The Navy “E” Ribbon was established upon the 1976 recommendation of Secretary of the Navy John William Middendorf II to replace the Battle Efficiency Award, which was a capital letter “E” sewn directly on to the sleeve of the uniform. 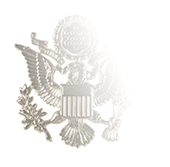 Dubbed the “Battle ‘E’ Device,” the old award was authorized to be worn by members of ships and air squadrons who were serving aboard units that won the Battle Efficiency Award, a contest to determine combat readiness of ships, submarines, aviation units, and other Navy units. The introduction of the Navy “E” Ribbon did not substantially change either the prestige of being a winner in one of the Battle Efficiency categories (which is considerable), nor did it alter the requirements involved in doing so. 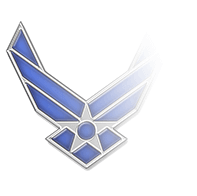 Instead, it served as a more prominent way to display the “E” that is awarded for winning in a Battle Efficiency category; instead of sewing the “E” directly on the sleeve of the uniform, it is sewn onto the Navy “E” Ribbon. This procedure became policy for all Battle Efficiency Competitions held after July 1, 1974. To be eligible for the Navy “E” Ribbon, Navy personnel must be permanently attached to and serving with ship and units cited for their performance in the Battle Efficiency competition. 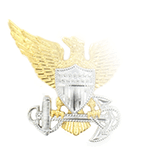 Marine Corps personnel who are serving as part of the ship’s Marine detachment, or who otherwise have been designated as “ships company,” are also eligible for the award. 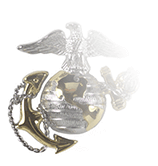 This does not mean amyone aboard a ship that earns the “E” Ribbon designation also earns the award: Marines who are embarked on the ship, such as Battalion Landing Teams, Marine Expeditionary Units, and Marine aircraft squadrons, are ineligible for the honor. 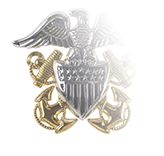 Additional "E" devices that are sewn on to the Navy "E" Ribbon are awarded for each time a unit or ship wins a competition; with a fourth award, the previous three "E"s are removed and are replaced by a single wreathed "E" device. No additional "E" devices are allowed beyond this point regardless of how many are subsequently earned.